I have been a handbag girl forever, but lately I was finding it bit cumbersome, falling off my shoulder, getting in the way and just feeling too big. I needed something smaller and practical. 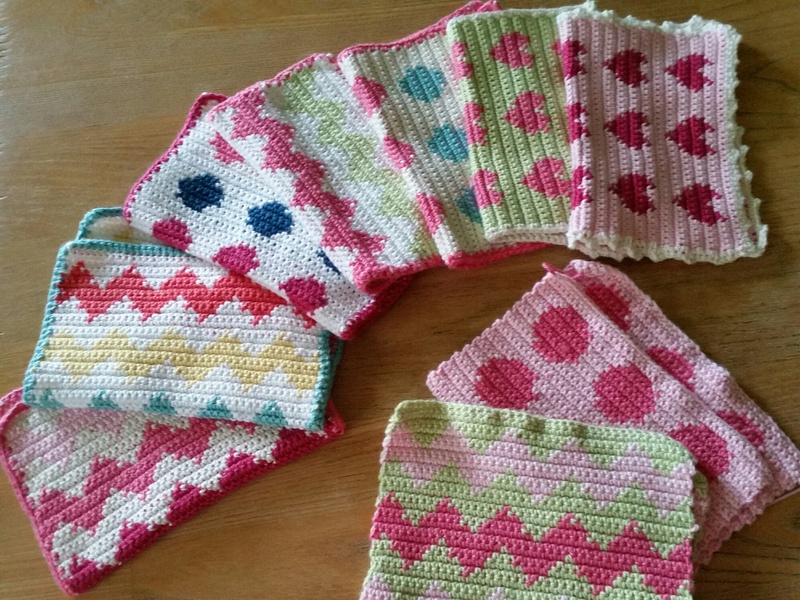 I do love making tapestry crochet washcloths, playing around with different patterns and colours. 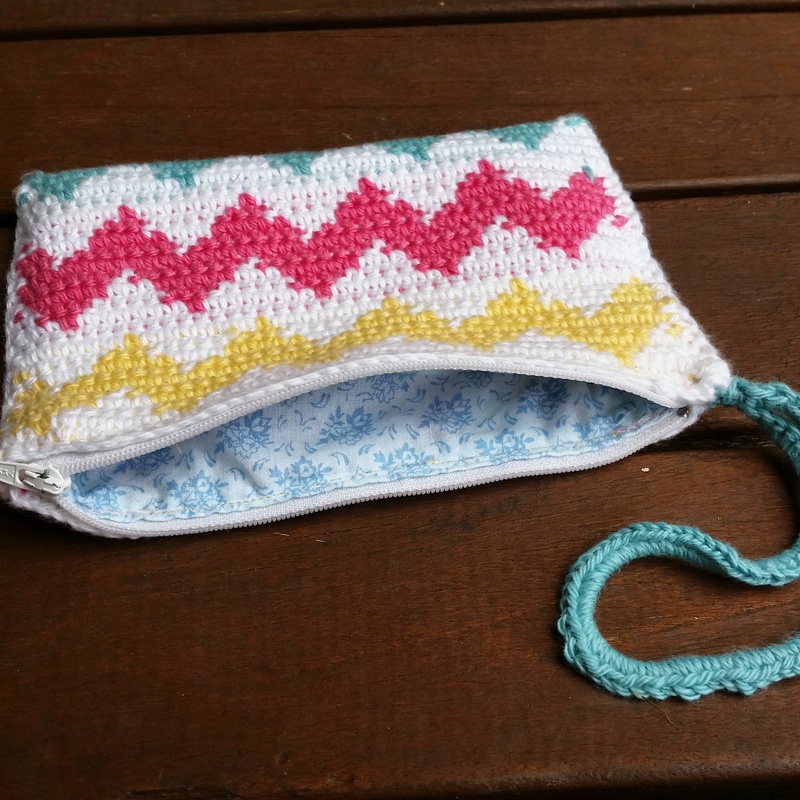 I had the idea to make one of the washcloths into a little purse or clutch bag. 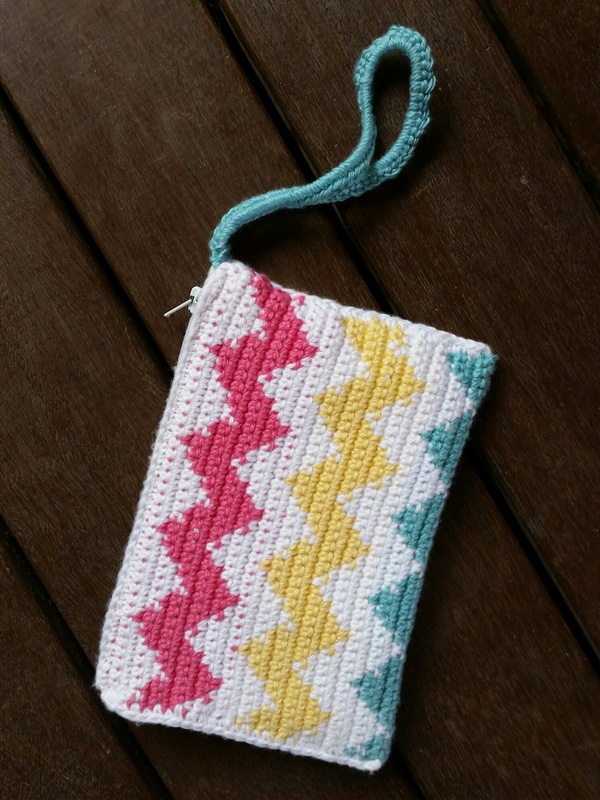 I figured tapestry crochet would be great for this as it creates a nice thick and sturdy cloth. I salvaged a zip from my stash ( a tip from my mother and grandmother, cutting zips off old wornout clothes), selected some fabric to use for a lining, and sewed it all together. 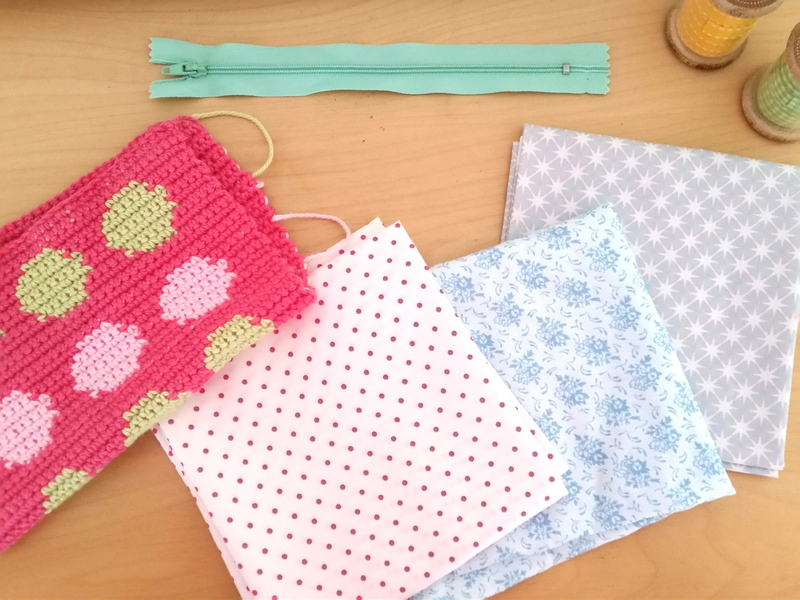 Not so simple for me as I had never sewn a zip purse before and my sewing skills are certainly not of a professional nature at all. 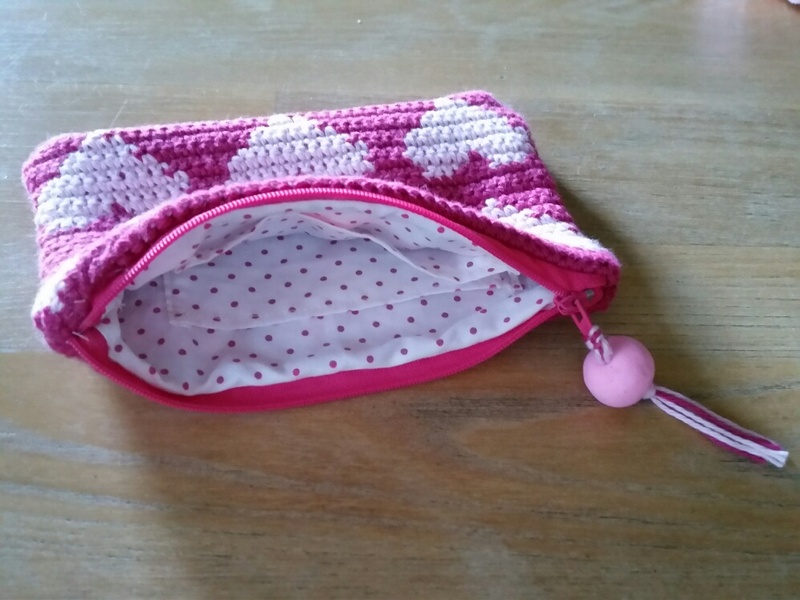 A friend sent me a link to a youtube tutorial on how to sew a zippered purse with a lining. Hurray for youtube! 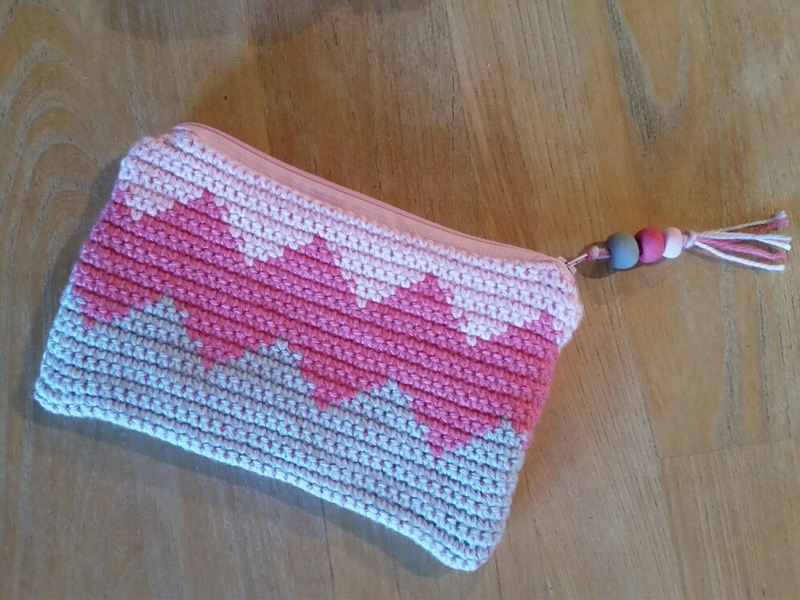 I am now able to create an almost professional looking purse. There are lots and lots of tutorials on this topic so if you need help a quick youtube browse will get you started. I used this link which was very easy to follow. 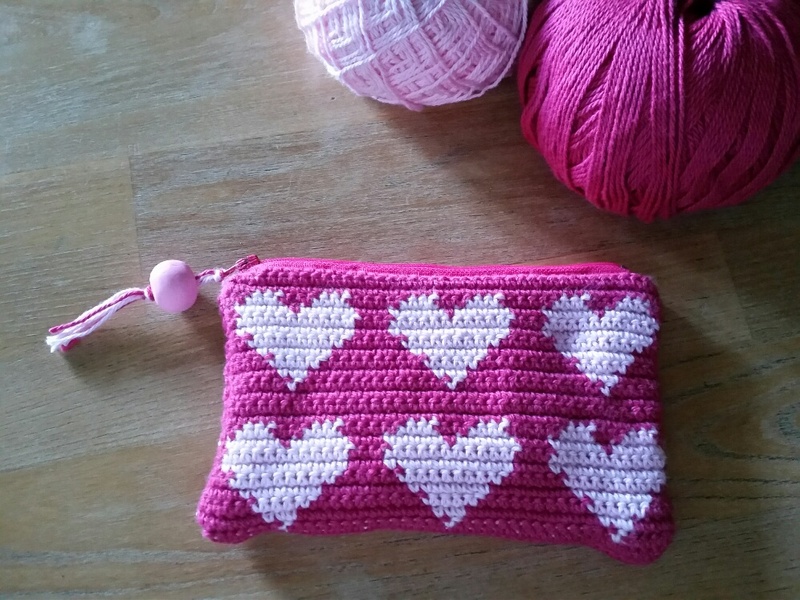 I have been playing around with colours and patterns and have made a couple of purses now. I reckon they would make nice gifts. 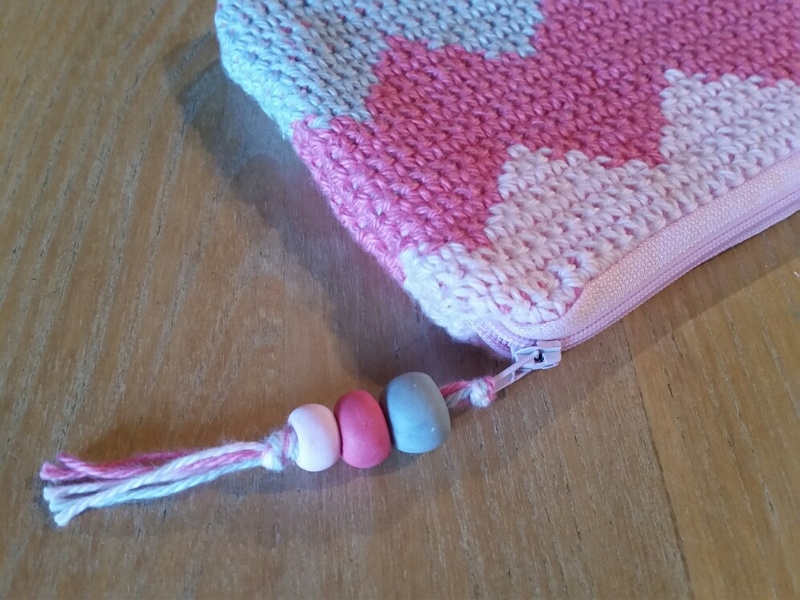 I have also made some beads out of fimo clay to add a decorative zip pull for extra prettiness. I love fimo clay, its so versatile and easy and you can blend colours to match your projects. Jewellery made from fimo beads is very popular these days. I went into a shop the other day and a necklace made with similar clay was selling for $59!! These purses are just big enough to get my phone, cards, cash, lipgloss and keys in. Perfect. Well, almost perfect. I have since modified the design to create a section in the lining to separate cash/coins as they become hard to find in a hurry. 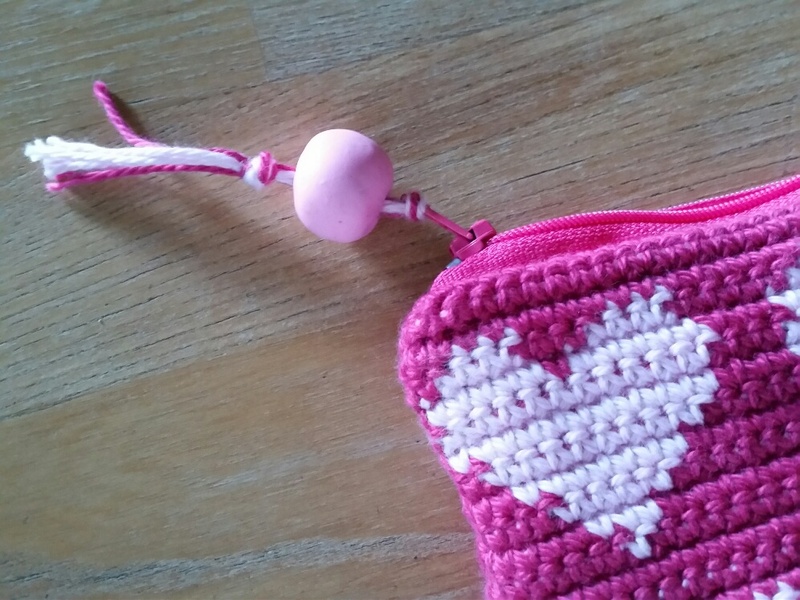 I have also made two separate crochet pieces for the outside of the bag, rather than one long piece folded over, as its very hard to sew in the lining and zip when its one outer piece. So much easier to make now. Darker colours work better. With use, the white bag is not looking like these pictures any more, the white has turned a murky grey. Must put it through the wash!